On December 27, Nebraska State Senator Bob Krist, who is running for Governor in 2018, said that if he gets on the ballot via a petition to create a new party, that party will be called the United Nebraska Party. See this story. On December 21, U.S. District Court Lawrence Stengel held a status conference in Constitution Party of Pennsylvania v Cortes, 5:12cv-2726. As already reported, on December 13 the Third Circuit had issued a ruling in this case, casting doubt on whether the county distribution requirement for minor party and independent candidate statewide candidates is constitutional. It requires petitions for minor party and independent gubernatorial candidates to not only be signed by 5,000 signatures, but to have at least 250 signatures from each of ten counties. The Third Circuit had noted that such county distribution requirements have been ruled unconstitutional by the U.S. Supreme Court twice, and by at least ten lower court decisions from around the country. On December 21, the minor parties suggested to Judge Stengel that his order from last year merely be changed to delete the county distribution requirement. The state said it needs two or three weeks to decide whether it accepts that idea. Judge Stengel then set a new status conference for January 10, 2018, at which it is likely this will be resolved. Of course Judge Stengel is free to make his own decision, in case both sides don’t agree. Or he might order a trial to determine whether the county distribution requirement can possibly be justified. On December 21, Jill Stein appeared on CNN’s “Outfront with Erin Burnett.” Here is a report about that interview in The Hill. This interview has been covered by many major news outlets. 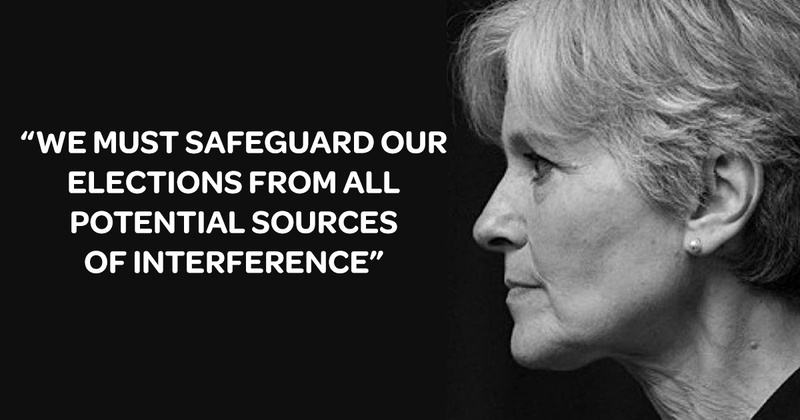 Also, here is a link to a 45-minute interview with Stein by Robert Scheer of Truthdig. This Salt Lake Tribune story points out that Rocky Anderson, Justice Party presidential nominee in 2012, was also at the famous Moscow dinner that Stein attended.